Irish stew is the order of the day, and what better accompaniment than some homemade Guinness bread rolls. 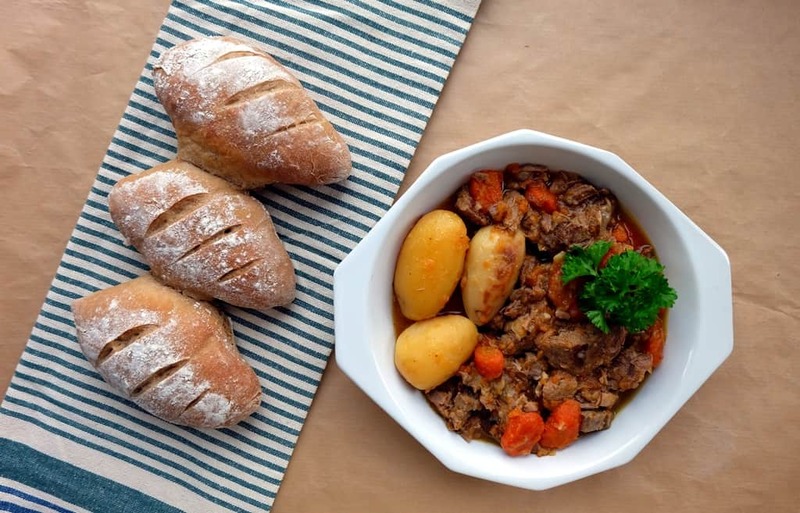 Irish stew, by definition a simple dish, based on the few but substantial ingredients of lamb chops, onions, carrots and potatoes and flavoured simply with salt and pepper, is a superbly rich dish. My Guinness dinner rolls have a light crumb and exquisitely full-bodied flavours, divinely complementing the umami taste experience of the stew. I’ve also noticed that I’m spot on topic with this month’s #BreadBakers theme of ‘Irish Breads’, hosted by A Day In the Life On The Farm. I’d baked bread with beer before and achieved some delicious results, but I’d never used Guinness. This Guinness bread recipe very subtly brings out the dark-roasted barley flavours. An Irish stew calls for bread rolls to soak up all the delicious juices and this recipe for Guinness bread rolls does the job perfectly. A wheat-based dough, enhanced with a little added rye and fortified by the ruby colours of that famous Irish stout, produces delicious Irish bread rolls. Shape each dough part into a roll (I like to make rolls with pointed ends as the tips form a superb crust), place onto baking trays lined with baking paper, lightly flour the rolls’ surface and cover with clean kitchen towels. Make sure to leave enough room between the rolls to allow them to expand unless you like them to attach to each other during the bake, as I did in the photo above. 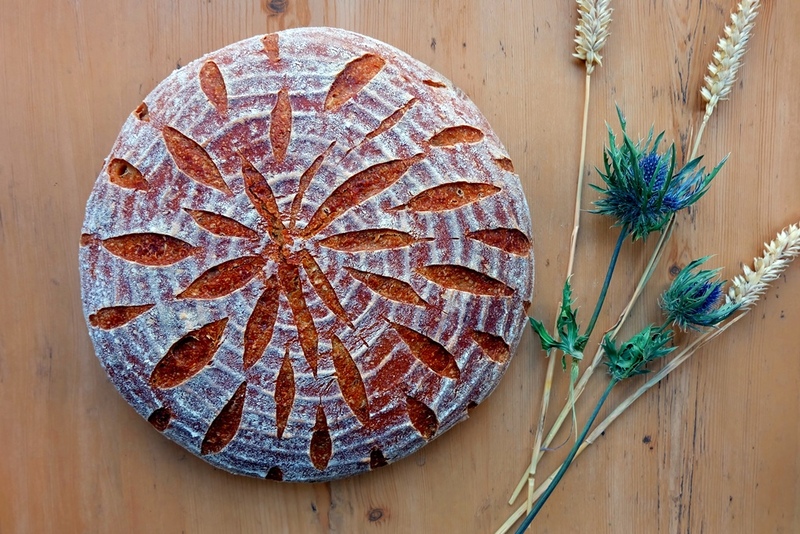 Take a look at the Irish bread recipes from my fellow #BreadBakers!